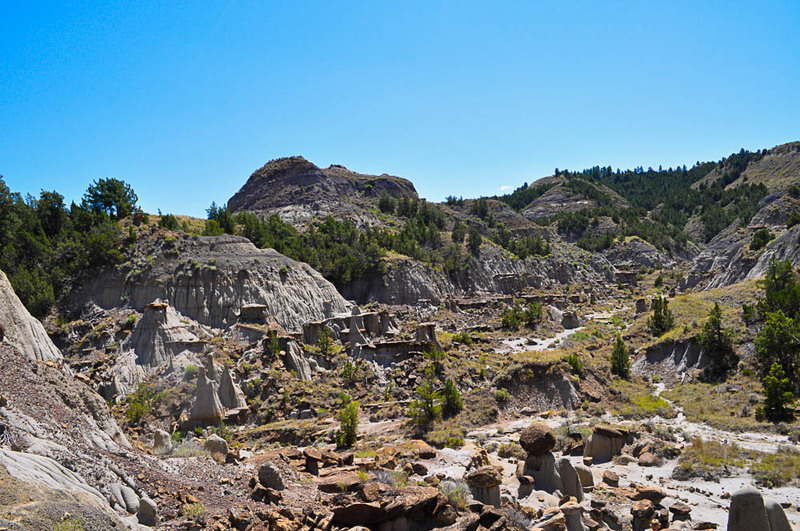 Just down the road in Glendive, Montana is Makoshika State Park, Montana’s largest state park. 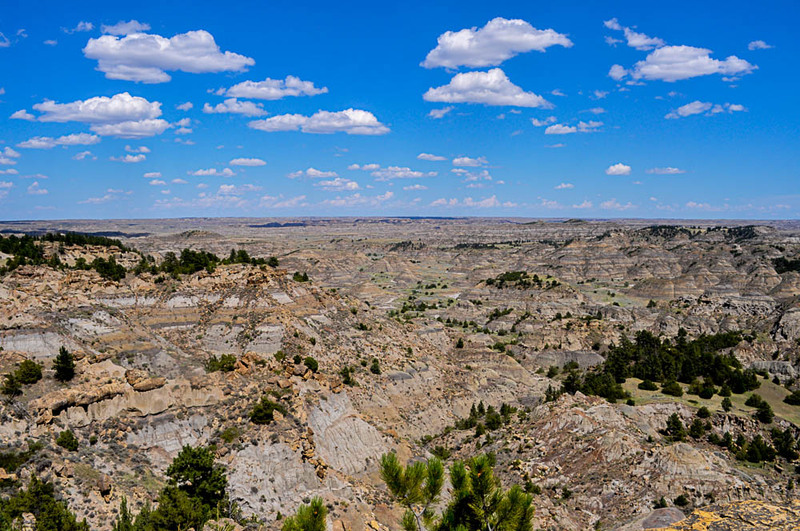 The park has spectacular badland formations as well as fossil remains of T-Rex and Triceratops, and others. 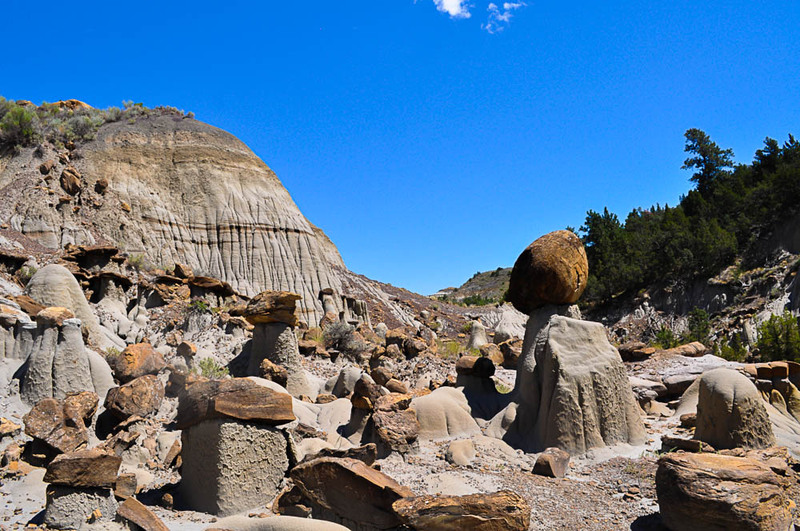 The drive through the park is beautiful and there are many hiking trails to choose from. 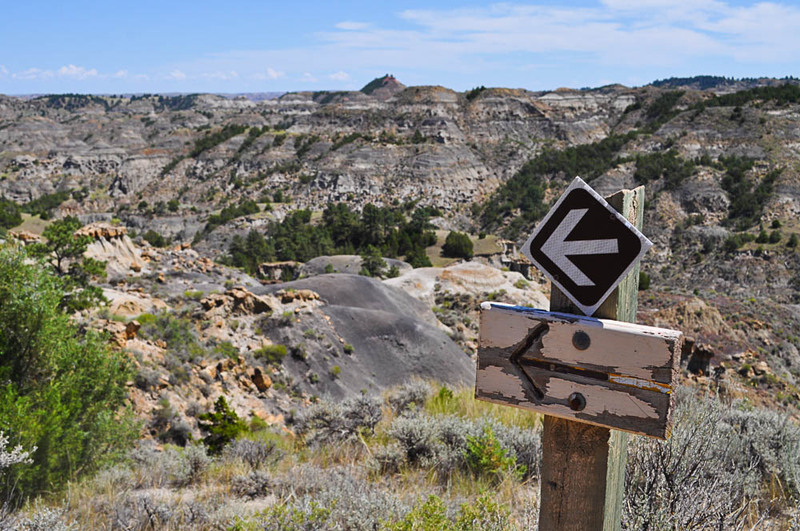 We opted for the Kinney Coulee Trail first. It was a hot day and we were on the lookout for snakes. Luckily, we did not see any. The boys led the way and were extremely helpful with their advice. “Watch out, Mom, it is slippery here.” “Oh, this is really steep, watch your step.” They were also kind enough to point out little patches of shade, in case anyone needed a rest. 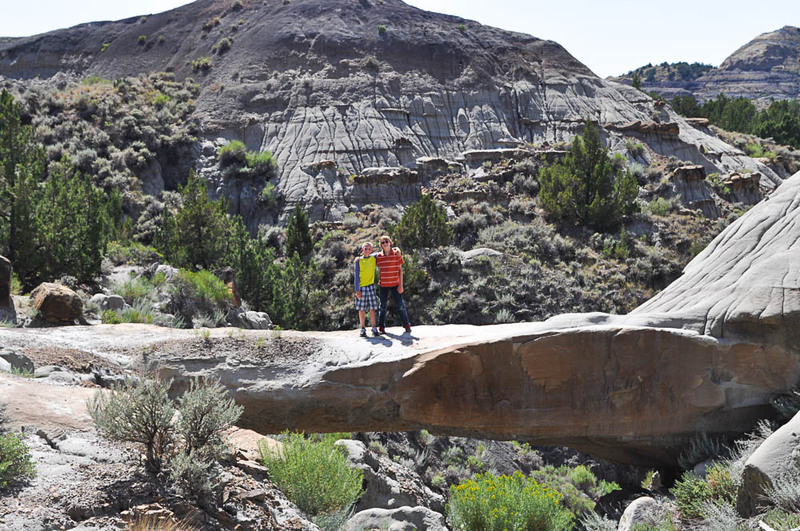 Next, the boys and I went out to see the natural bridge. The hike out was only about a mile, but it was pretty amazing. From the high point it felt like you could see forever. The funny thing is that it almost looked flat, like you could run your hand over a smooth painting, but it was really quite the opposite. The terrain was anything but smooth. 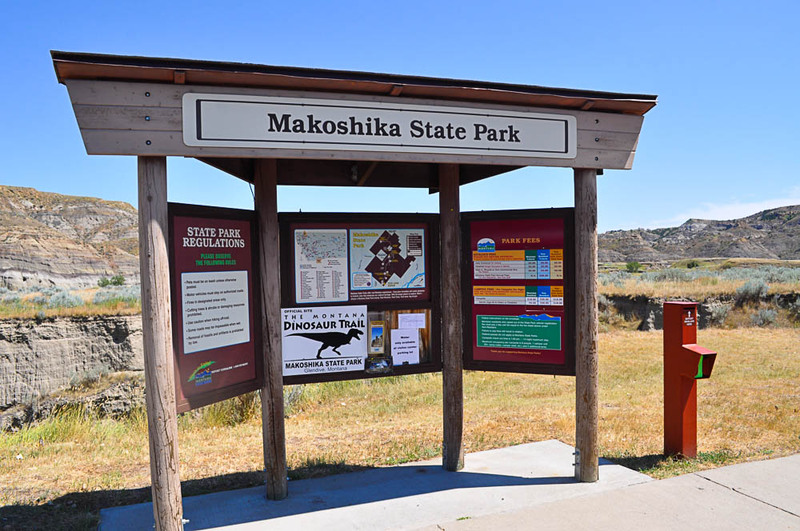 This entry was posted in Daily Life, Family Adventures, Montana and tagged day trip, hiking, Makoshika State Park, Montana. Bookmark the permalink. Gorgeous terrain! See any of the dinosaur fossils? There are some in the visitor’s center, but we did not see any on the trails.